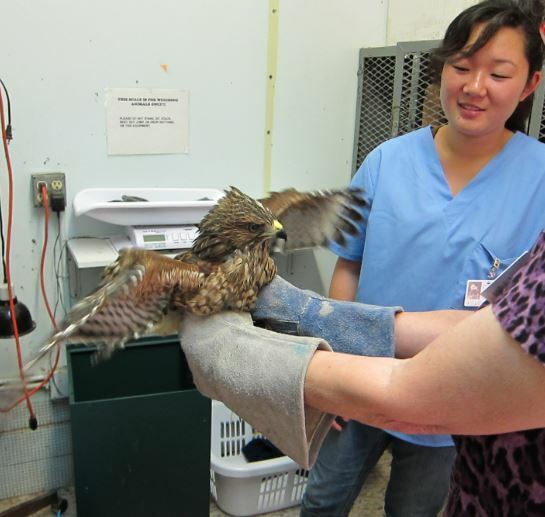 The next orientation for Wildlife Hospital volunteers will be held in late February of 2020. There will be a non-refundable $15 registration fee for this orientation. *Please note, if you are between 15 and 17 years old, you must attend one of the two scheduled orientations with a parent or guardian. Questions about upcoming orientations? Email volunteer@discoverwildcare.org or call 415-453-1000 x21. 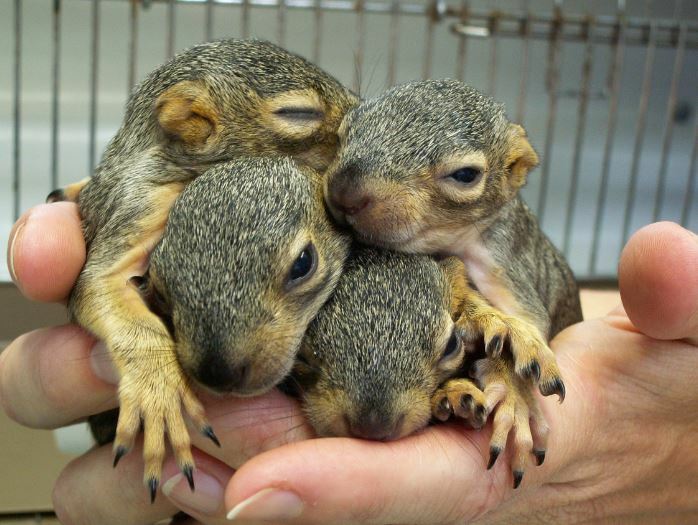 Our wildlife hospital cares for nearly 4,000 wild animals a year, from as many as 200 different species. We provide ongoing care for our patients seven days a week, fifty-two weeks a year with a dedicated team of staff and more than 300 volunteers. 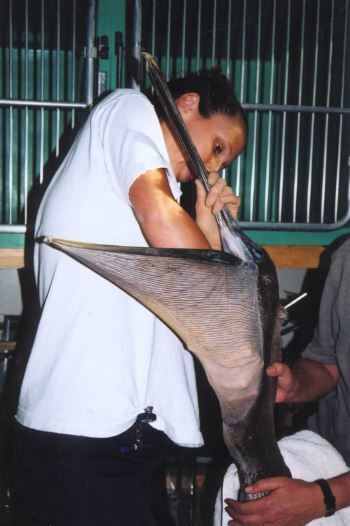 Volunteers learn species identification, proper handling, hygiene and safety precautions, physical therapy regimens and hand feeding techniques. Hospital staff and volunteers work together to provide comprehensive diagnoses and treatments for our patients utilizing x-rays, blood work and more. Everyone works together to accommodate the feeding, cleaning and medication requirements of each patient. All volunteers must attend a Volunteer Orientation. Please note: There is a non-refundable $15 registration fee for this orientation.If, after attending orientation, you decide to volunteer, you will pay the volunteer training fee. The training fee is $80, and includes a year’s membership to WildCare and materials for the training classes. Your $15 registration fee is applied to this fee, so you will pay $65 when you complete your application.Partial scholarships available on a case by case basis. All volunteers must fill out, sign, and turn in all required documents. New incoming volunteers must attend a shadowing day and four classes (a full 11.5 hours) of hands-on training for the wildlife hospital. Volunteers 18 and over must commit to one 4-hour shift a week. Volunteers ages 15-17 must commit to one shift a week between 1.5 to 4-hours long (hours are adjusted during school). The minimum commitment is from February through the end of WildCare’s “baby season” (usually ending late November). We hope you will continue to volunteer past this minimum commitment as our experienced volunteers are our most valuable resource! Active volunteers must have a current tetanus shot. We always ask potential volunteers to seriously evaluate their schedules and other commitments before they join our volunteer team, because WildCare’s hospital is 95% volunteer driven and the animals depend on the volunteers for their food, caging and medical needs. Volunteers are expected to attend their scheduled shift every week, and missing a scheduled shift can impact our patients’ lives! We ask all incoming volunteers to make a commitment to a regular volunteer shift from the date of their first training class through our “Baby Season” which usually ends in late November. Most volunteers will continue to volunteer after this period, but this is the minimum we require. Each trained volunteer must commit to one 4-hour shift in the hospital per week. You will volunteer on the same shift every week. Shifts are scheduled 7 days a week at 9am – 1pm or 1pm – 5pm year-round. We also offer a shift for our high school students (ages 15-18) from 3:30 – 5 pm on weekdays when school is in session. During the summer, shifts are also available in the songbird room from 5pm – 9pm. At any given time some shifts may be full and not taking new volunteers. All upcoming orientations require pre-registration. You may also contact Kelle Kacmarcik, Director of Volunteer Services at volunteer@discoverwildcare.org or call 415-453-1000 x21 for more information. Volunteering with wild animals involves some inherent health risks and WildCare is extremely committed to minimizing or eliminating these risks. The health and safety of our volunteers is our top priority. Protective clothing such as gloves, eye protection and face masks is required when handling many of our patients. Volunteers who do not follow proper safety precautions in the hospital will be asked to leave WildCare. 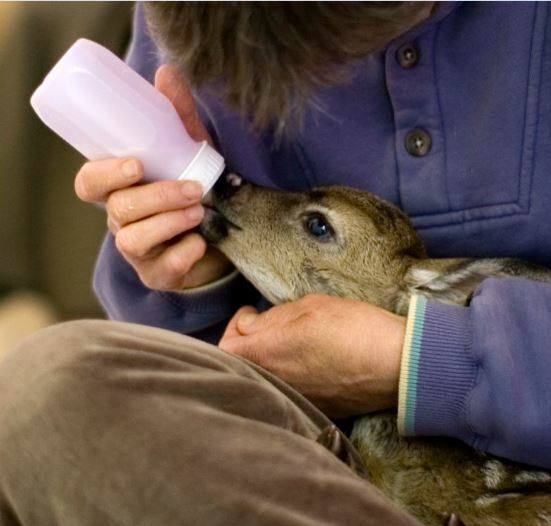 We recommend that anyone volunteering at WildCare inform their regular doctor that they are working with wildlife. Pregnant women are not allowed to volunteer with the animals at WildCare. Volunteers are required to have a current tetanus vaccine, but no other vaccinations are required. Be careful to change out of your volunteer clothing and wash well before going into pet-occupied areas of your house. A special pair of shoes should be set aside for exclusive use in the wildlife hospital. Volunteers with pet birds should take additional precautions as some avian conditions may be more easily transmitted between WildCare’s patients and pet birds. Wash hands frequently and well, change clothes before handling pet birds, and inform your supervisor that you have birds so that your contact with contagious patients may be minimized. With these precautions, the risks to you and your pets will be kept to a minimum. Everyone at WildCare loves animals, and most of us have pets. We feel confident that, with the precautions taken above, your pets (and ours!) will remain healthy and safe while you volunteer at WildCare. All incoming volunteers attending annual orientations will be required to attend a shadowing day and complete our 4-class New Hospital Volunteer Training Series, a full 11.5 hours of in-depth instruction in animal care and wildlife hospital operations. Once working in the Wildlife Hospital, volunteers progress through 3 training levels (click for WildCare’s Training Level System) learning increasingly advanced skills in medical treatment and animal handling. Volunteers are expected to master the skills of one level before progressing to the next, however volunteers are encouraged to ask questions and observe procedures at any level in order to increase their training and experience. WildCare’s rehabilitation hospital is a teaching hospital and staff and senior volunteers are always available for questions and help. er year. Classes are held frequently at WildCare and volunteers are encouraged to attend as many classes as they wish. Some classes are also available to the public. Volunteers are required to wear closed-toe shoes at all times. Other clothing guidelines are at the volunteer’s discretion, but we recommend comfortable long sleeves and pants. Always wear something you do not mind getting dirty! WildCare is very hard on clothing. Most volunteers have separate clothing they change into when they arrive. Medical scrubs are always a good choice.